In the first few centuries after Christ, Christianity spread throughout North Africa. A strong church was established in present-day Tunisia despite intense persecution from the Romans. Ancient baptisteries and sites of martyrdom can be found among the ruins. However, disunity, factions, and a failure to translate the Bible into the local languages weakened the church. When Arab invaders arrived in the 7th century an empty shell of a church was all that existed. Islam spread rapidly and the Christian roots of the people were forgotten. The early Islamic period was a time when "Arab identity" meant that all Arabs had descended from a common male ancestor. Thus, being an Arab brought recognition, honor, and certain privileges. Tunisians tend to be more modern and secular than other Arab Muslim peoples. This mindset has, no doubt, helped Tunisians fit in with Europe's culture better than other Arabic-speaking people. Tunisia has a large youth population that is highly educated. Almost two out of every three Arabs are under the age of 30. Both the Middle East and North Africa have the highest youth unemployment on the planet. Frustration, lack of opportunity, and government corruption produced a revolution in January 2011 resulting in the president fleeing the country, regime change, and the Arab Spring (the ripples of Tunisia's revolution spread to Egypt, Libya, Yemen, Syria, and other Arabic-speaking countries). The aftermath of this time period is still being felt as Tunisians and other Arabic-speaking people are fleeing to Europe to find safety. 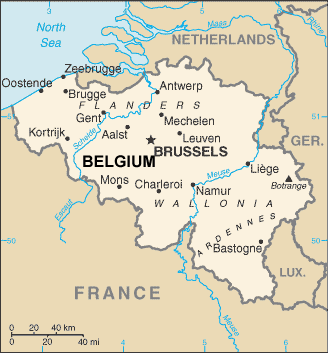 Tunisian Arabs are most likely to live in Belgium's urban centers. Some Tunisian Arabs have managed to start small businesses in Belgium, while others struggle with unemployment. Tunisian Arabs typically live in proximity to their extended families and place a high value on family. But with many going to Europe for work, these family ties are becoming weaker. Virtually all Tunisian Arabs are Sunni Muslim, even those in Belgium. 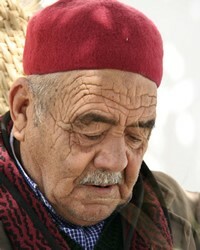 While many are nominal or secular, Islam heavily influences every aspect of Tunisian culture. Their religious practices include various ceremonies and festivals that bring them together as a community. Most Muslims say they love Jesus, but few have heard His teachings. Resources in the various Arabic dialects are available; however, there needs to be a greater effort to effectively distribute these to Arabs in each of the European countries. Believers can meet with spiritually hungry Muslims and teach them about Jesus from the Bible. * Pray that the Tunisians in Belgium will hear and receive the gospel of Jesus Christ and the promise of salvation to those who believe in Him. May they have the joy of knowing they are secure in the embrace of Jesus. * Ask the Lord to call people who are willing to share the love of Christ with Tunisian Arabs in Belgium. * Pray that God will raise up faithful intercessors who will stand in the gap for Tunisian Arabs wherever they live. * Ask the Lord to raise up strong local churches among the Diaspora Arabs in Europe. http://deredactie.be/cm/vrtnieuws.english/News/1.942223View Arab, Tunisian in all countries.